One obstacle most low-budget YouTuber's encounter is: where to find decent background music for videos. While great music is abundantly available on the internet, most songs are copyrighted and thus cannot be used on YouTube without having it taken down; this can leave your video without sound, or it may even be taken down completely by YouTube due to copyright infringement. For the past years, I used Kevin MacLeod's royalty free music. While I'm very thankful he has generously shared hundreds of tracks with all of us, most of the tracks have a low bit rate, thus, making it sound like video game music at times. 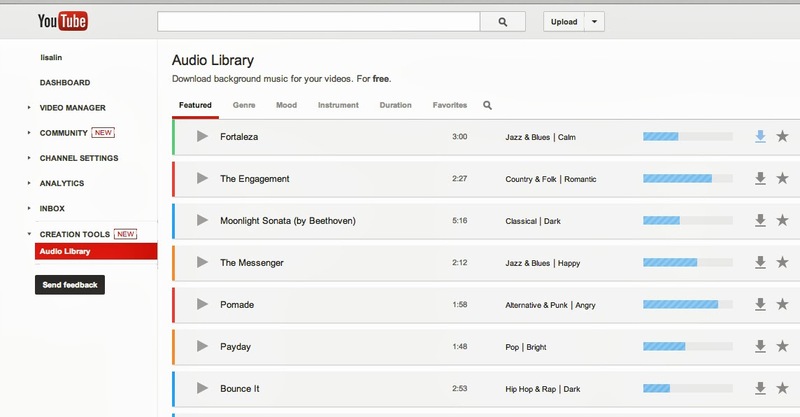 Now -- finally -- YouTube has launched their Audio Library. This library consists of a variety of royalty free music you can use freely in your videos (whether for YouTube or not). You may assume that because the music is free, that they would be corny beats -- but there are surprisingly some decent tracks to choose from. I definitely think adding this Audio Library was a great move by YouTube. Making useable music more accessible will definitely encourage more people to post YouTube videos since the selection is posted right there within the YouTube interface; and users know this music is acceptable to use and will not result in their video being taken down/muted. Update: Note that just because you used an audio track from the library, does not mean you do not have to provide documentation to YouTube that you have permission to use the music. I recently used a song I downloaded from the audio library in my video and YouTube still had to review my video for monetization. I submitted information to YouTube that I obtained the music (included song title/artist) from the audio library and that it is royalty free; however, YouTube still prompted me to provide more information before allowing monetization of my video. It is currently still under review, so I'll have to do another update in the future. Update 2: My video was finally approved for monetization a few days after my second form submission (where I provided additional information). My tip for you: include as much information in your video description box as possible (ie: "Music credit: (composer's name - track name) + musician's website or a direct link to the audio track). Also, if YouTube requests you provide more information before they approve your video for monetization -- make sure you include where you got the music from, and make note that it is royalty free music and that you did credit the musician in the description box of your video. 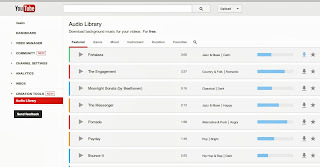 Have you used any music from the YT audio library yet? What are your thoughts/experiences? Nice collections, thanks for the suggestion to download free songs. keep it up.